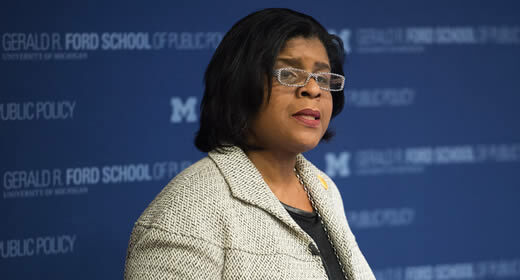 The Ford School congratulates alum and 2015 Towsley Foundation Policymaker in Residence Dr. Ruth C. Browne (MPP/MPH '83) on her new job. In an August 16, 2016 press release, Browne was announced as president and chief executive officer of the Ronald McDonald House New York, which provides temporary housing for pediatric cancer patients and their families. According to the press release, Browne will lead a $23.6 million capital expansion initiative for the organization's East 73rd Street facility to increase capacity for children battling cancer and to provide more comprehensive family support services. Browne has served as CEO of the Arthur Ashe Institute for Urban Health since 2004, and has been with the Institute since 1993. She will assume her new role on September 19, 2016.